This is usually sufficient to deflect the conversation away from the issue that has been raised, to one of judgement. We are going to break this down in more detail. Let’s start with judge not lest ye be judged meaning. Was there some perceived wrong done? The meaning of this is quite simple. Whatever you do to others, will be done to you. A great example of this in practice is the parable of unforgiving servant. It is a little too lengthy to be put on this page. The story has it that a ruler had placed a servant in prison for non payment of debt. His wife and children were to also be sold. The servant went to the master and pleaded with him for forgiveness. The master was kind to the servant and wrote off the entire debt, which was a large sum. The servant however, did not extend the same grace to another servant who owed him money. Even though he had been forgiven of a large debt, he would not forgive someone else of a smaller debt. He got his debtor locked away in prison until a time when he would be able to settle the debt. This of course is quite ludicrous. How would a man locked up in prison ever be able to come up with the money to settle the debt. 32 Then his master, after he had called him, said to him, ‘You wicked servant! I forgave you all that debt because you begged me. 33 Should you not also have had compassion on your fellow servant, just as I had pity on you?’ 34 And his master was angry, and delivered him to the torturers until he should pay all that was due to him. No matter what we say of this topic, it would not be complete if we do not cover what judgement is. You have likely heard it misused. You have probably been in a courtroom or at the very least seen it in a movie or some sort of television program. There are various conditions that have to be met before we can say something is judgement. It is not that difficult to wrap our heads around. This condition is the easiest to meet. For the most part, where there is judgement or the accusation of judgement, there has been some wrongdoing. If there hasn’t been some wrongdoing, there is a case of grievance somewhere. Another key function of judgement is the weighing of evidence. Where this is absent, there is an injustice or no judgement at all. This is the one that most of the “judge not” cases will come without. For judgement to be fulfilled, there must be a verdict. Without a verdict there is no judgement at all. There may have been a debate, an argument, accusations and so on, but none of this adds up to judgement. When you tell someone that they are not walking in the way of the father, you have not judged them. You have made an observation based on evidence that is before you. Judgement focuses on the wage of the wrong that has been done. 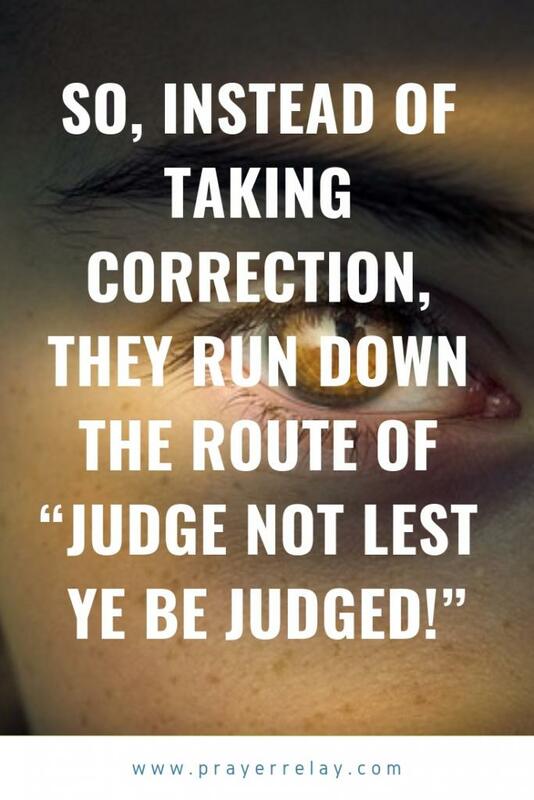 Correction is not judgement. 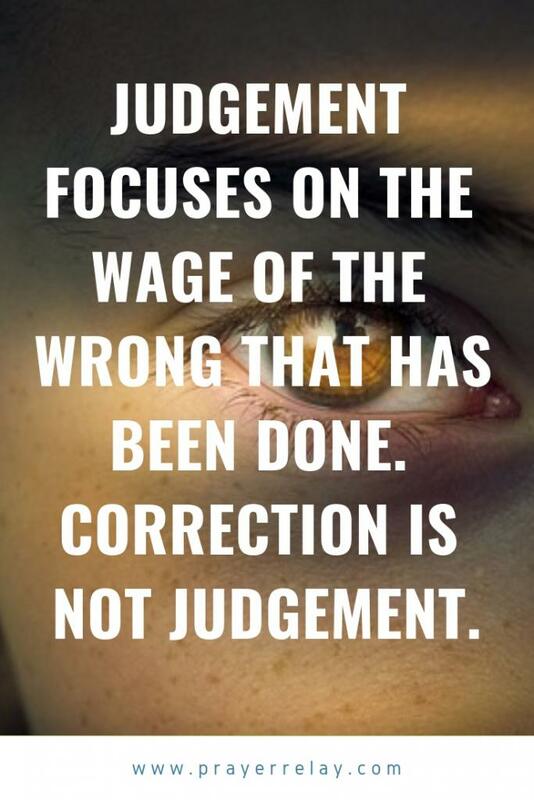 This is not to say that correction can never be done in a wrong way or that it cannot ever be judgemental. Another common one that is thrown around when it comes to judgement is the one of the plank. The key truth in this is that we ought to avoid hypocrisy. Our lives need to model that which we judge others of lacking. The key word there being “judge”. This is not to say that you cannot remove the speck in your brother’s eye or that you should be concerned. The key thing about judgement is that it requires the judge to be righteous. Without righteousness on the part of the judge, how can they be trusted to be the one to administer justice. Think about it, we would not accept criminals in our own justice system (where it can be helped). 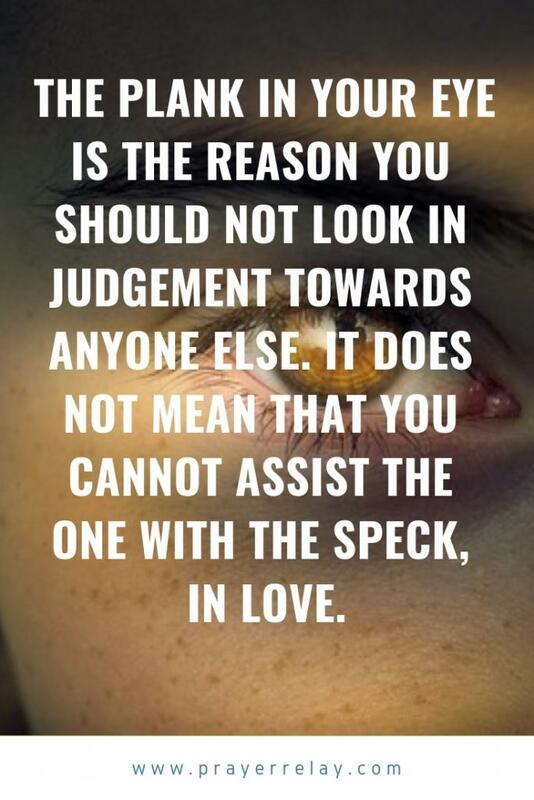 The plank in your eye is the reason you should not look in judgement towards anyone else. It does not mean that you cannot assist the one with the speck, in love. There is no greater hypocrisy than going out to evangelise while watching your own “Christian” brother/sister walking in a way that will lead them to death. I do not want brothers and sisters around me that will watch me lose my way and not say anything. This accounts for a large portion of what is wrong with our ministries today. 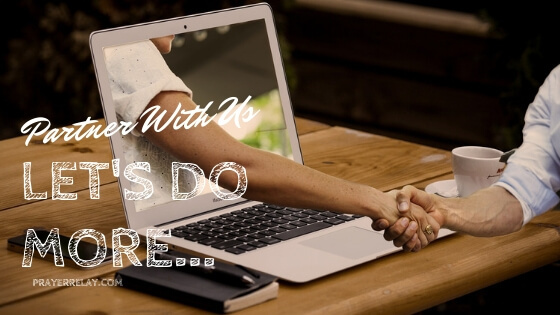 That lack of accountability leads to poor stewardship. It is more dangerous if you are in a leadership position. Leaders will say things like “touch not my anointed ones”. There is a humility that comes from accepting correction. Paul corrected a season Peter. Peter was senior in his faith, and had walked with Christ, yet he could be corrected. Who do we think we are? 12 Anyone who loves correction loves knowledge.